Having a divergent excellence management system, we are considering as the noteworthy manufacturer and supplier of Asphalt Drum Mix Plant. It is manufactured using unmatched quality raw material and advanced technologies and meets definite industry standards.Our company also manufactures this plant in different specifications that are provided by our clients. This plant is perfect for road contractors who want to make high volumes of hot mix asphalt without compromising on the quality factor. 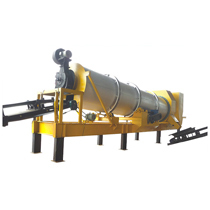 Asphalt Drum Mix Plant manufactured by our company is perfect for large number of different types of mixes have to be made with accurate proportioning and homogenous blending. Our asphalt drum mix plants are popular for their consistent output and safe and convenient production procedure. Also it is a perfect mixture of predefined quantity of components like stones, sand and aggregates. Different capacity models are also available with unique features at our manufacturing unit. hey are built with high-quality materials that resist abrasion, high temperatures and corrosion. We also supply our drum mix plant at quite affordable prices so that anyone can avail it easily by our respected customers. Our manufactured array of this plant having end product consistency, gives high production rates and user-friendly operation that meet expectations are all features that make this series of asphalt plants is a solid deal. We also supply asphalt drum mix plant which is manufactured by our highly qualified technicians at our manufacturing unit according to the specifications of M.O.R.T.H (Ministry of Road Transport and Highways) and is designed for the global construction markets. 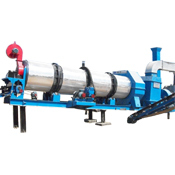 We have also become well known Asphalt Drum Mix Plant Manufacturer and Asphalt Road Equipment Manufacturer in India. 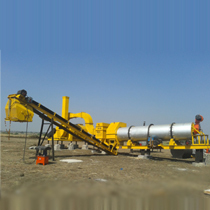 Our customers can avail this plant from us in various customized options at market leading rates.